The big storm that wasn’t: Predictions of a potentially historic storm in Western Washington fizzled into another blustery fall night. Despite the warnings that the Seattle area was going to get whacked by a storm of potentially historic proportions Saturday night, meteorologists’ predictions of severe winds turned out to be wild only in their inaccuracy. 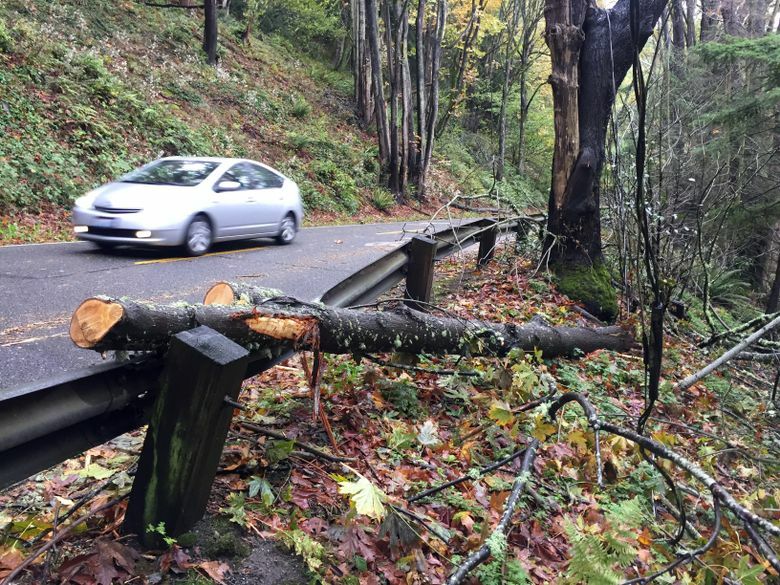 Winds of 54 mph struck the San Juan Islands and gusted as high as 88 mph at Crystal Mountain in the Cascades, but for most of the Puget Sound region, the storm turned out to be another blustery fall night. 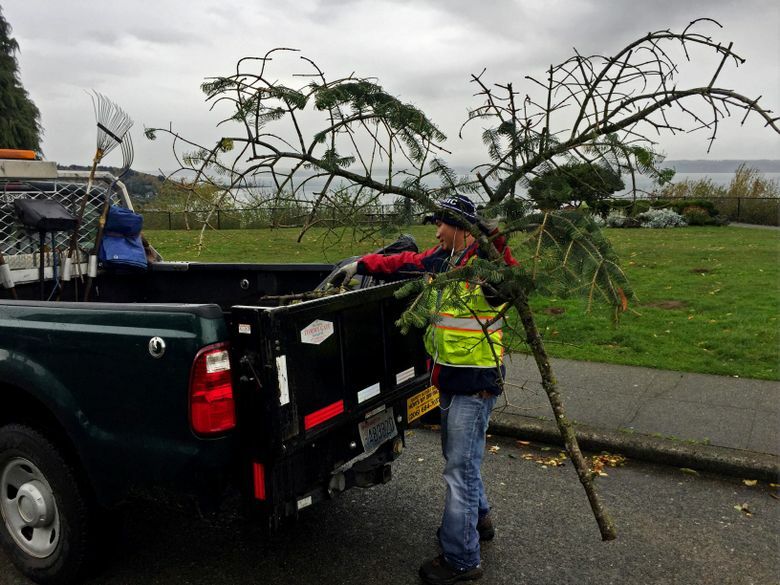 Weather trackers were confronted Saturday morning with three different possible paths for the storm, said Jay Neher, meteorologist for the National Weather Service’s Seattle office Sunday. The actual path turned out to track even farther west than any of the sophisticated computer models predicted. The lashing remnants of Typhoon Songda, which was carried on the jet stream from the South Pacific toward the Oregon coast, instead struck Vancouver Island and mainland British Columbia, sparing most of Washington state. “Yes, our forecast did not turn out as predicted. We are not pleased about it either,” the weather service posted on Facebook on Sunday morning. “We talk about the worst-case scenario so people can be prepared, but we also need to talk about the uncertainty in our models,” Mass said. He said he planned to sit down with Logan Johnson, the head of the Seattle office of the National Weather Service, later this week to discuss improving communication with the public. In the Seattle area, no injuries were reported Saturday, but a 4-year-old boy remained in intensive care at Harborview Medical Center after being hit by a tree branch in Seattle on Friday. Tens of thousands of people lost power Saturday before the National Weather Service canceled its high-wind warning at 8 p.m. for Everett and points south. Blustery conditions and showers are expected to linger through Thursday with flood warnings on the coast. Temperatures are expected to remain mild, with highs in the low 60s. Like many Puget-Sound area counties, San Juan activated its emergency-management center Saturday but shut it down once the storm passed, director Brendan Cowan said. Cowan returned this week from North Carolina, where he was helping with Federal Emergency Management Agency’s response to Hurricane Matthew, whose damage turned out not to be in wind strength, but in heavy rains and flooding. The hurricane is blamed for $1.5 billion in damage and 43 deaths. Material from Seattle Times archives was included.